If I had to assign a Chakra to the country of Germany it would be the 5th. The fifth chakra, corresponding to the neck region – the ability to speak the raw truth and voice one’s self authentically and honestly, literally ‘speaks’ to the German culture. According to a recent study the number one value for Germans is “Ehrlichkeit” which translates as honesty. Truth and the expression of it rank extremely high for Germans. For the 6 months I have been living as an expatriate in Germany I have seen more demonstrations than I have seen in my whole life living in the USA! Demonstrations against the Pope, demonstration against meat eaters….you name it there is a group or party in Germany that expresses a voice about it! Germans are all about the number 5, looking below the surface and seeking the truth, perhaps this quality comes with attention paid to history. A fifth chakra in its most exalted state expresses the truth in a way that results in elevation of ourselves and others. It is also our voice to sing to chant to praise the one in its many forms and facets. It would be only natural for the German culture to have a particular attraction to Mantra! Given a growing interest in Spirit Voyage music and endorsed musicians and a hunger for more it became an organic progression to join hands with the German speaking societies……and so here we are Spirit Voyage Deutschland. 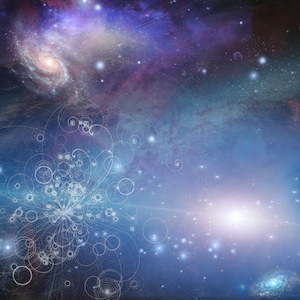 Mantra has a particular beauty to create unity across culture, country, religion, race, time and space as it truly delivers a universal experience of the one. For the past 2 months we have had the opportunity to help build the Spirit Voyage Deutschland on-line community. From my experience visiting many Kundalini Yoga communities around the world I would have to say the Germans have one of the strongest daily practices I have seen! As I am currently learning the language it is fascinating to see how language shapes a society. For example the language is full of rules with endless grammatical variations. There is also specific attention paid to vocabulary and sentence structure around what for man is allowed and not allowed. These qualities of attention to details and rules run throughout the German society as well, creating an environment that generates high quality outcomes. On one side this could be perceived as slightly, shall we say…..uptight! On another side it creates a great society to live in and highly dedicated Yogis! Following the ‘rules’ of Yoga or the Yamas and Niyamas as written by Patanjali, one puts a daily practice or a Sadhana as the base of progressing on the path of Yoga. Looking at the bigger picture it is beautiful to think of us all scattered around the world unified by a common thread of mantra of “Ong Namo Guru Dev Namo” and yet bringing forth unique hues from the culture from which we live that allows different facets of these beautiful teachings to shine. We are shining together dear friends….. 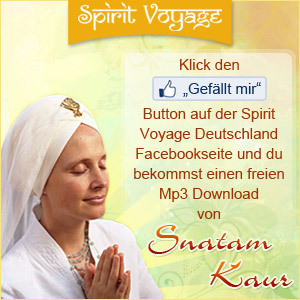 When you visit us on Facebook as a welcome gift we offer you a free music download from Snatam Kaur. It has been so inspiring to connect with and serve the spirit of Spirit Voyage. It is such a universal approach to sharing teachings, wisdom, mantra, sound and song to uplift the human experience and lighten the load. 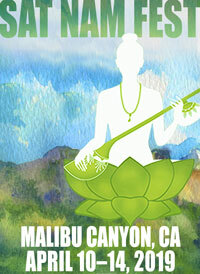 Visit our blog and see what we are up to. Click here to visit the Spirit Voyage Deutschland blog. Do we need in Germany a spirit voyage web site Germany? What is the reason? What is the goal?